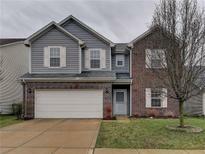 Below you can view all the homes for sale in the Maple Village subdivision located in Westfield Indiana. 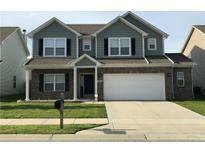 Listings in Maple Village are updated daily from data we receive from the Indianapolis multiple listing service. To learn more about any of these homes or to receive custom notifications when a new property is listed for sale in Maple Village, give us a call at 317-308-8198. Stamped concrete patio great for entertaining or relaxing. MLS#21633675. F.C. Tucker Company. All this PLUS a full unfinished basement with egress window!And back deck overlooks large yard that backs up to a huge green space! MLS#21633205. Liz Foley Real Estate, Inc.. This home is smart-home ready w/ wifi color LED lights, video doorbell, wifi garage door and thermostat- Seller will leave all w/ an appropriate offer. MLS#21631710. The Real Estate Group. Super clean & ready for you to move in! MLS#21631516. Keller Williams Indpls Metro N.
Close to gas, shopping, Highway 31 and more. Truly a must see! MLS#21630374. Encore Sotheby's International. Don't Blink! This one won't last! MLS#21628063. RE/MAX Ability Plus. Maple Glen Elementary is behind this home. MLS#21628449. Carpenter, REALTORS®.